Sing along everybody: Take one down, pass it around, and there’s 99 MIDI-controlled singing bottles of beer on the wall . 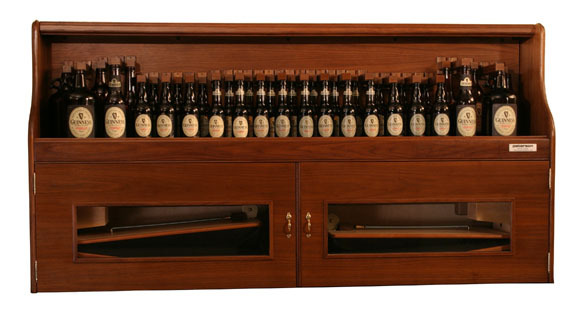 . .
Of course, you could get 100 drunken friends together to blow on beer bottles and save the $22,900 price of the bottle organ, but I betcha it won’t be permanently tuned.